With 2007 nearly upon us it's time to have a look back at the highs and lows of 2006 and how it went. We started the website as a bit of fun and we've found that we really enjoy doing it and reporting on our sessions. 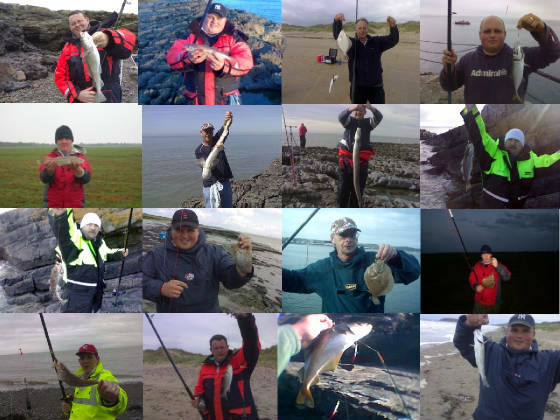 Valleyboyo has caught 8 fish on 3 occasions - 6th Jan, 21st Feb and 11th March. Well that's 2006 wrapped up for the Welsh Danglers. 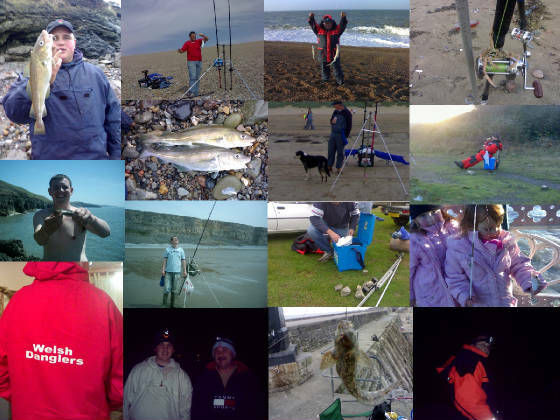 It's been a good year, some decent fish, some new species, some new marks and new friends but most of all it's been fun and thats what it's all about having a laugh and enjoying fishing! A few sessions spring to mind as ones to remember but one of the best moments has got to be Valleyboyo and his box of stones. click here to read it. Also Blackcats' bull huss stand out as well as Barrelreef's girls 1st fishing trip plus many more. Hope you have enjoyed following our trips through the year and keep checking back in 2007. Sign the guestbook on the homepage and let us know what you thought about our exploits in 2006 or ways to improve the site for 2007.